One of the enduring pleasures of studying music history is the constant reminder that there is rarely such a thing as a historical fact. Things which we thought were true we subsequently find not to be; facts which we have long held as fast suddenly turn out to be false. As research, and our methods of research, advance, so our breadth of knowledge (and ignorance) increases, and we are obliged to forget that which those employing less developed research tools had convinced us was verifiable fact Nowhere have our long-cherished convictions in historical understanding been so completely swept aside than in the area of instrumental performance. 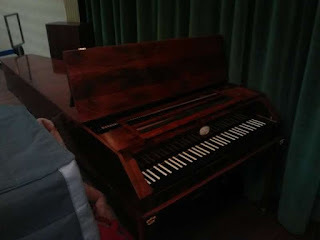 A presentation on a new type of electronic keyboard the other week posed the question about legitimacy. 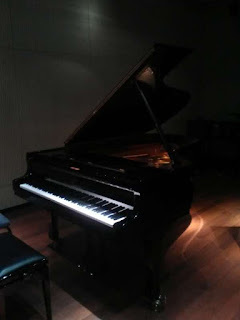 The presenter suggested that those who doubted the legitimacy of presenting a credible performance of Mozart on an electronic keyboard should ask themselves why they accepted Mozart on a Steinway Grand without demur yet baulked at the concept of Mozart on an electronic keyboard (both instruments being equally alien to Mozart's time). 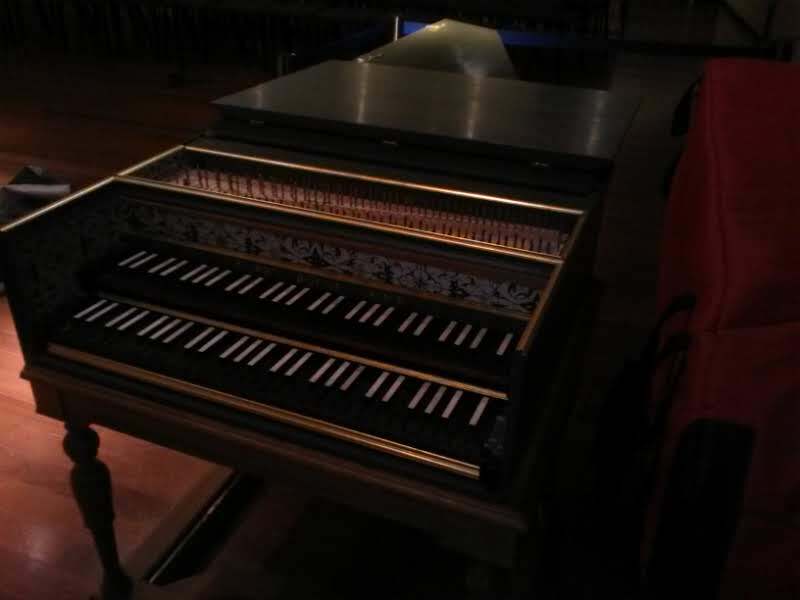 He went on to illustrate his point by performing a Debussy Prelude on a fortepiano; an instrument also alien to the composer's time, but on this occasion because it had fallen into disuse rather than had yet to be invented. In short, we do not think about the revolutionary ideas of new technology when that new technology is, for us, no longer new. A lecture I gave on early performers on record led to a discussion with the students (all of whom were themselves preparing for a performing career) on how musical performance practices had changed. We all seemed to agree that these early performance put communication above ideas of either historical or even textural authenticity. By extension, current preoccupations with authenticity actually creates a barrier to musical communication. Adolf Busch' s unaccompanied Bach of the 1920s was universally regarded by the class as exciting, thrilling and powerfully communicative, despite breaking almost all the rules on historical performance practice as we recognise them today. It was widely felt that Busch did more good for the cause of Bach speaking through the performer to an audience than any amount of the gut string, historical temperament, expressionless playing practised by today's period performance pedants. This all got me thinking about the validity of perceived authenticity in performance. With historical knowledge continually changing as new materials and evidence is revealed, any performance which aims to be historically informed is really built on a kind of quicksand which can swallow up legitimacy the moment a new historical truth is revealed. That being the case, is there ever a real argument in favour of aiming for historical authenticity in performance? I look to my youth when, we were reliably told, playing Bach on the piano was wrong since the piano did not exist in Bach's day. We now know that this is not only completely wrong, but that Bach both played and possessed pianos and was active in developing and writing music for them. Of course, Bach did not write for a modern Steinway Grand, nor even a Broadwood fortepiano, but neither was he writing for the harpsichords and organs we hear today - even those which, in terms of history, were actually around at the time he was working . 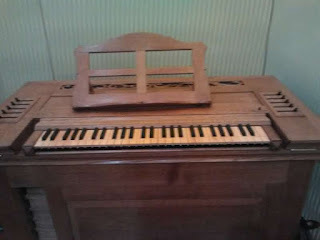 Centuries of restringing, re-tuning and relaxation of frames and cases have altered the sounds of these instruments beyond recognition by Bach or his contemporaries; and let's not forget that the accumulation from centuries of listening mean that our ears are differently attuned from those who heard music back in earlier times. Purely in the interest of research, I ventured into a room full of various keyboards and played pieces by Bach, Beethoven, Grieg and Debussy. I played them on a chamber organ, a harpsichord, a fortepiano and a Steinway. The music sounded radically different on each. But of one thing I am absolutely certain; none of them sounded anything like they would have done in the composers' own times. That being the case, surely it is every bit as legitimate to play Bach on a Steinway, Beethoven on an organ, Grieg on a fortepiano or Debussy on a harpsichord, as it is to play them on any other kind of keyboard instrument invented before, during or after their lifetimes. Some of my very favourite performances have been those delivered on period instruments. But I have never swallowed the argument that these are in any way "authentic". Rather, I have always seen them as offering a new perspective on the music performed. 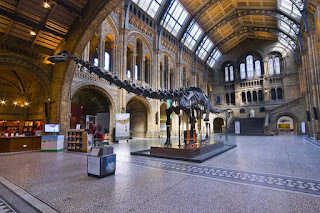 We should not look for - or even strive for - historical authenticity in musical performance; that's an unattainable and ultimately sterile activity (rather like, as a young boy in London, I would look at that large collection of artificially manufactured bones assembled into the shape of a dinosaur skeleton in the entrance hall of the Natural History Museum and imagined it to look just like a real living and breathing dinosaur). If music is to be a living, breathing art form, we should see every performance as a one-off occasion, each time completely re-interpreting what we perceive to be the composer's ideas based, not so much on the current state of our historical understanding, as on the very real susceptibilities of those attending the performance occasion. Whatever instrument we use, whatever performance style we adopt, if our aim is to communicate the spirit of the music rather than to present an imaginary idea of historical authenticity, we are surely being more faithful to the composer's intentions. 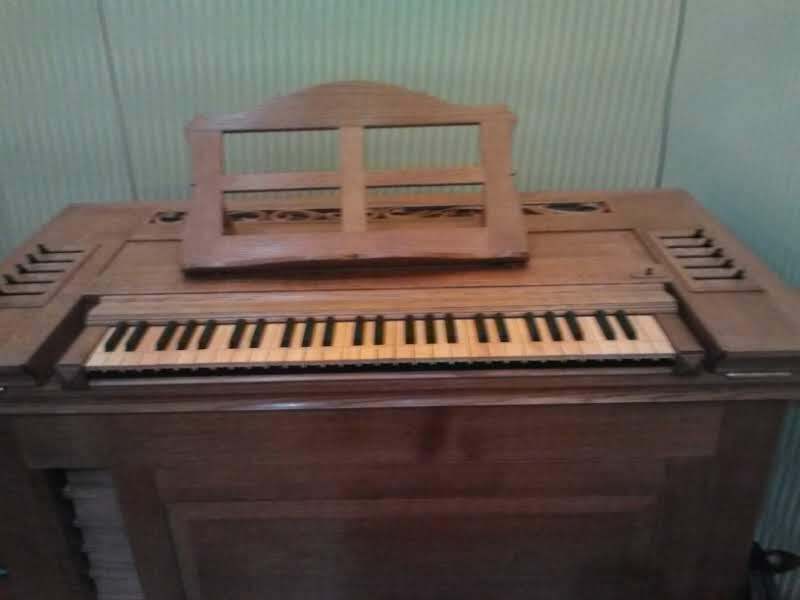 As authentic as a harpsichord?